They've been working together as a group for more than 30 years, and Rudi Protudi and gang are still at it with their primitive and genuine acid garage rock, though Protudi is the only original member in the current line-up, with his recognizable guitar and cavernous voice, dark glasses and eyebrow-grazing fringe. 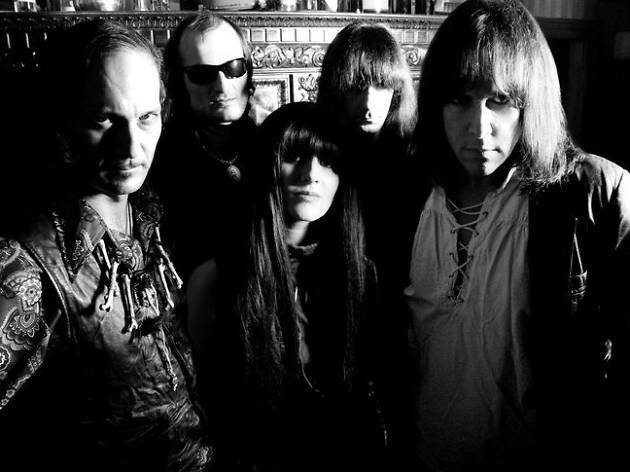 The Fuzztones are huge fans of playing live, much more than being in the studio, though their first album, 'Lysergic Emanations' (1985) established them in the USA and in the UK as kings of pscyho-garage. Don't miss them in Madrid as part of the FestiMad programme!